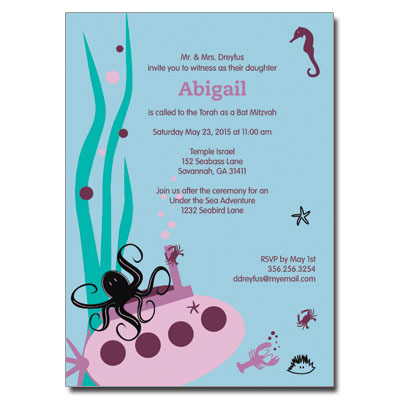 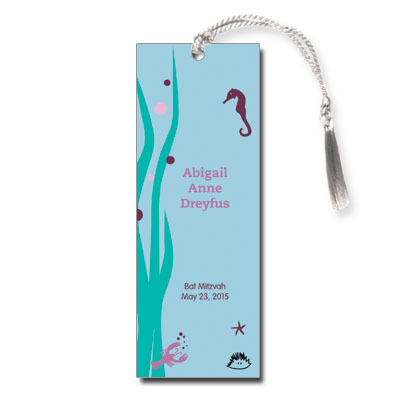 This under the sea Bat Mitzvah invitation is ready to be personalized for your ocean theme party. 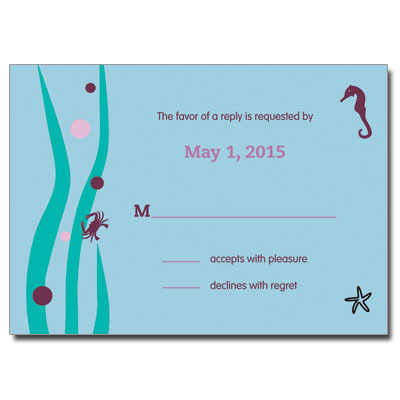 A submarine and sea creatures designed in shades of purple make for a one of a kind custom invitation. 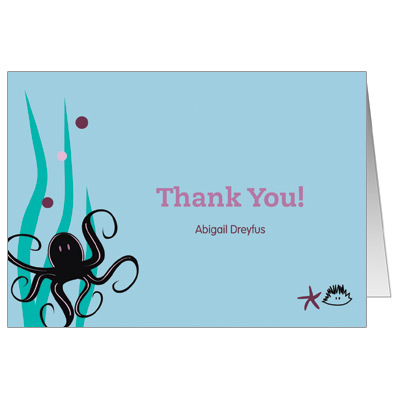 Card measures 5x7.